Molly has been a broker in Texas for 25 years and is a highly skilled, effective negotiator with a 10 year experience in commericial real estate in Dallas prior to entering residential sales. She is currently a broker associate at Dave Perry-Miller and Associates. Molly has exceptional product and community knowledge-one relocating CEO said “your knowledge of the available properties and useful insights you had into purchasing a home and Dallas living were invaluable to me.” Molly has participated in the sale of some Dallas’ most expensive homes and is a member of the Masters of Residential Real Estate Network, an elite group of influential professionals who specialize in the million dollar plus market. 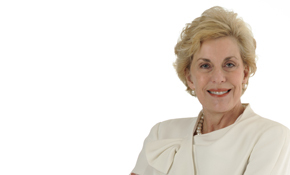 She is also a member of the Network Connection, Preservation Dallas, Park Cities Historical Society, Dallas Historical Society and is on the Advisory Board of Nexus Women’s Auxiliary.